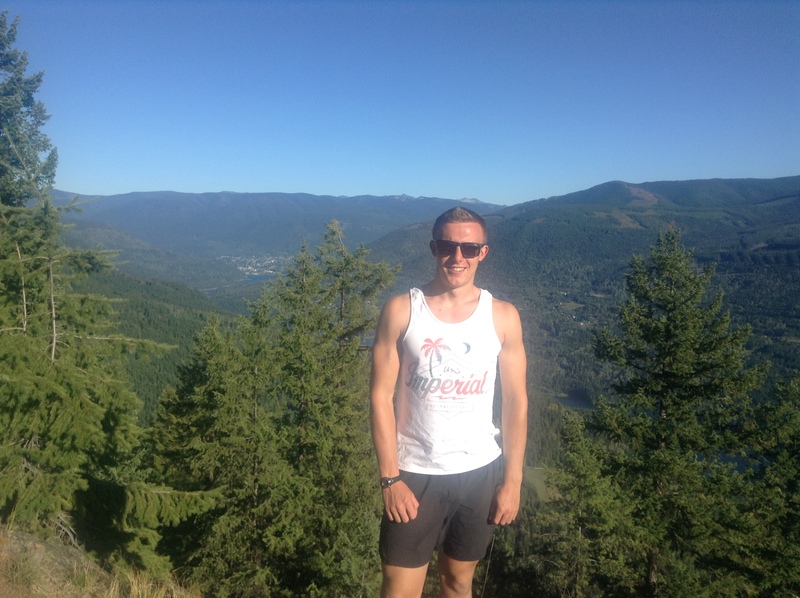 Here is my 100km trail run report. i2P, you have educated, inspired and empowered me all over again! It’s saturday evening and 20 runners gather at the Ark for a pre-race meal and motivation talks by Ultra legends. We are about to run 100km in the Gatineau Park and I am scared. Not nervous, not excited, full on scared. This will be my longest run ever, covering half of the distance in the night with experienced ultra runners and I feel completely inadequate. I can’t decide if I should keep pushing, stay with the guys and have a longer rest before starting the second 50k at 8am or pull back, save some energy and give myself a better chance for the second 50k. This decision didn’t linger in my mind for too long because I couldn’t imagine facing alone the silence of the night interrupted by crackling branches and unknown animal sounds that made my imagination run wild. Staring into the woods and seeing the shining eyes of racoons and squirrels was bearable with three grown men by my side, but not all by myself, even though one of the support crew members joked about the guys needing my protection in the event of a bear encounter. 12:30 am, checkpoint: Eating Pretzels and realizing I am running with the lead guys. And so I pushed on, inspired by the pure beauty of the environment surrounding us; the majestic trees standing tall and straight on both sides of the trail, leaving a stripe of sky filled with stars so bright that my existence felt trivial in their presence. At 4:15am, I reached Breton beach where I had left my car the day before and where the second 50k would start at 8am. I ate a cup-a-soup, changed into sweat pants, put a tuque on and laid my sleeping bag on the beach. I was all set to catch a quick nap under a blanket of stars but my legs had a different plan. Their intention was to keep me awake with lightning bolts shooting up and down my quads, hamstrings and calves for as long as they could outlast fatigue. I slowly drifted into a state of depression, second guessing my decision to hang on to the lead guys. With my alarm set at 6:45am, it was going to be a long night. As the night sky slowly surrendered to the warm orange of the morning sun rising on the other side of the lake, my mind slipped back into a state of production. Runners were gathering on the beach preparing to start their adventure and I got busy preparing for the second half of the journey. After putting on a new pair of Skechers GoRunUltra’s and eating a breakfast consisting of boiled potatoes and Nutella, I was ready to go. 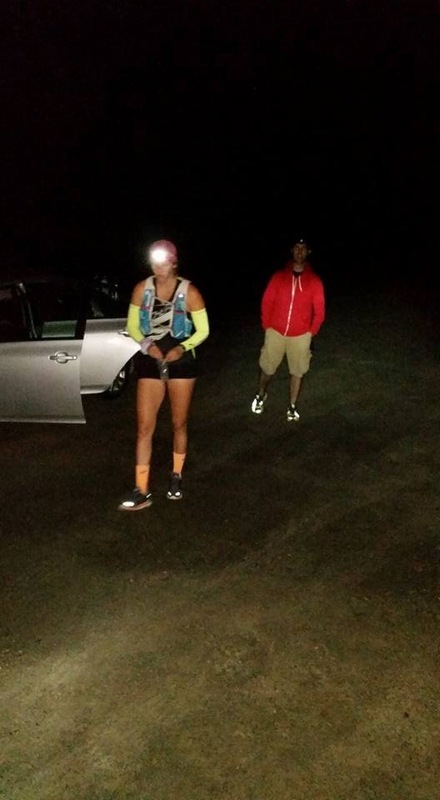 8am, the second 50k starts as Ray sends us off with words of encouragement and inspiration. 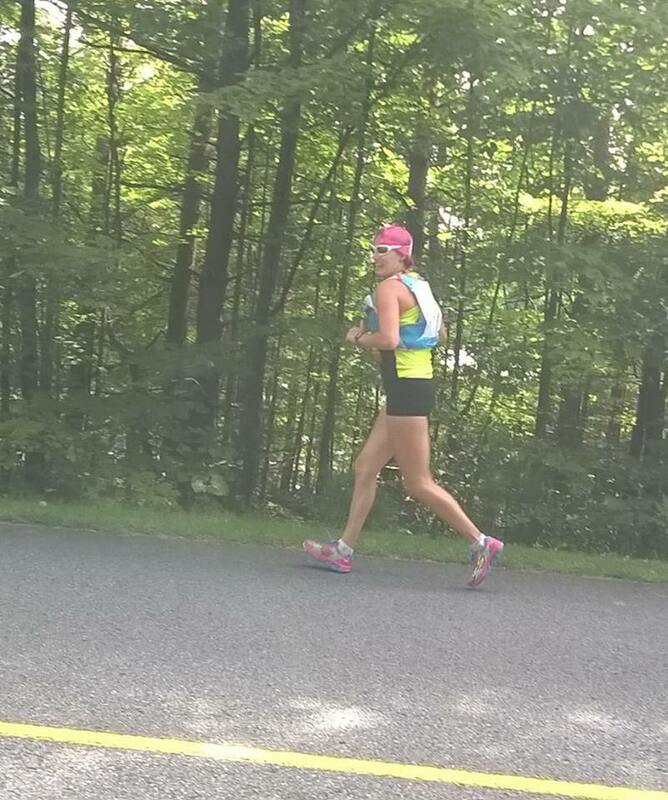 This second half of the race was a tale of facing demons and overcoming physical boundaries. My legs hurt. That wasn’t going away, but it was probably going to get worst. Unless I stopped, but then I would be so disappointed in myself. It was a loose loose situation. I eventually completed the first 23km loop after what seemed like years. At this point, I was struggling with running, but could not mentally entertain the thought of walking on the flats. I was running a race after all, not walking it. So no matter how much it hurt, after walking an uphill, I would start running again as soon as I finished singing the words ‘’I can’t stop it, no I can’t control it, can you feel it ‘’Oh Baloney’’ from the song Overload of Life Of Dillon. (I don’t know why, but whenever I listen to this song, I hear ‘’Oh Baloney’’ instead of ‘’Overloading’’). Encouraged by my family, I set off for a very emotional 15km loop. My chin and lower lip kept shaking uncontrollably. I tried to blink away the emotions that blurred my vison but drops kept streaming down my cheeks. I still don’t know exactly what I was feeling. Happiness, sadness, pain, joy? Or just a lack of glucose? Probably a mix of everything. The beach was now lively, full of spectators and victorious athletes who had already completed their 23k or 38k distances. They greeted me with great jubilance. After a quick pitstop, I moved slowly down the promenade and made my way onto trail #53 for one last out-and-back. As I reached the turn around point and squared up with the last 8km, the sheer magnitude of the task at hand hit me. I was in bad shape physically and even though I was so close to the finish, I could not sake the idea that I was not going to finish. I kept moving forward, but felt like I was dragging the broken carcass of a fat hippo along with me. Much of this last section was a blur, but I remember seeing my parents about 1km from the beach and only then realizing that I was finally there. I was going to finish this majestic endeavour and I would have done it running. After crossing the finish line, I realize it wasn’t a loose loose situation. Being hurt and struggling mentally made this experience that more interesting. I have learned great things about myself and the strength of my mind. I think I can now honestly say I am most confortable outside of my confort zone. 100km outside of it. In Joseph Campbell’s The Hero with a Thousand Faces, he explains that heroes come in a multitude of shapes and sizes. They aren’t just knights in shining armor or Gods but rather are those who are empowered by their inner fears and weaknesses to triumph over adversities to achieve what they never thought they could. Perseverance, determination, resilience and morality are the foundation on which heroes are built. But heroes don’t necessarily start off this way, they undergo a journey which transforms them. In the segment, Transformations of a Hero, it is this journey that becomes a legend. The struggles and setbacks are every bit as important as the triumphs throughout the hero’s journey. In looking at cultural heroes, a common theme is special powers or abilities, or something that makes them extraordinary. In looking at this section, I wanted to address two points: are these traits truly necessary, and what about the journey transforms the hero? Question 1. Who can be a hero? I think it is safe to say that very few of us can fly, crush stones with our bare hands or have a dad who can throw lightning bolts, but does that mean we can’t be heroes? Who is your biggest hero? Do they have super powers, or are they part of a prophecy? Probably not, that’s because you don’t need super powers to be a hero. For me, the heroes in life are my parents, coaches, and mentors (although I sometimes wonder if they secretly have super powers). The traits that make them my heroes are their dedication, patience, and never-ending support. To me, heroes are people you can look up to and learn from. Also, you can be a hero, not just for others but for yourself. Being a good role model and striving to do your best and not giving up are traits of a hero, which we can all attain. This bring us to question two. Question 2. How do we transform into a hero? There isn’t just one way to become a hero, but the transformation comes with our journey. We all have different journeys we embark on. My newest journey began with an email congratulating me on being selected as a Youth Ambassador for Team Greece. I have never been so excited and nervous all at the same time! I had thoughts of doubt, what if I can’t complete the running, what if I’m not able to meet the criteria expected of me to be an ambassador, and can I be a hero? i2P has already taught me so much more about myself and I’ve only begun my journey! My training has taught me that we are all capable of so much more than we ever imagined. I had never run further than 15km in my life and I can now run over 35, who knew? Had I never tried, I still wouldn’t know. One of the hardest parts about beginning your transformation is taking that first step, but once you do, you are well on your way. The thing about journeys is that there are always some bumps along the way. We all encounter setbacks, but being able to overcome these are what really start to define our transformation. As we adapt and persevere, we learn about ourselves and how much we can accomplish. One of the biggest misconceptions about heroes is they do it all themselves. They don’t, they seek advice and support from others. I have received so much support and advice from my i2P family! 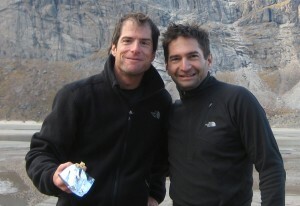 The ability to seek and provide help to others is a very important trait, and will be especially important on the expedition, as we all help each other in our transformation into heroes. I can’t wait to begin the expedition with my fellow “Greecers” and learn more about the Hero’s Journey! impossible2Possible (2015) states, “The title and theme of the i2P educational component is, ‘The Hero’s Journey’. In ancient Greece as in cultures around the world the story of the hero’s journey is a common theme. At the heart of many of the world’s most enduring myths and legends is a hero, a man or woman who triumphs over obstacles. Heroes are not all-powerful and immortal beings. Instead they represent the best of what it means to be human, demonstrating great strength, courage, wisdom, cleverness, or devotion. In today’s society, heroes are often inaccurately stereotyped as being immortal, indestructible, and superior figures. However, the author of The Hero with a Thousand Faces, Joseph Campbell, provides an alternative view of what it truly means to be a hero. Rather than portraying heroes as having unattainable, yet admirable characteristics, Joseph Campbell explains heroes as being those who are on a spiritual quest and represent the best of what it means to be human. In reading his novel, it becomes increasingly evident that a hero is much more than a knight in shining armor, but that they can take the form of a thousand faces. Within his novel, Joseph Campbell provides a basic framework of the hero’s journey. In this blog, I will focus on what Joseph Campbell describes as the first portion of the hero’s adventure: “The Departure”. Joseph Camp bell explains this phase to generally include five sections: the call to adventure, the refusal to call, the supernatural aid, the crossing of the first threshold, and the belly of the whale. The following narrative will use my journey of becoming an impossible2Possible youth ambassador as an example of a hero’s journey, with the hopes that individuals following this expedition will have a greater understanding of Joseph Campbell’s interpretation of the adventure of a hero. Furthermore, in creating this comparison, it is my hopes to show youth that heroes can take many shapes and every youth has the opportunity to become a hero himself or herself. Background Information: Joseph Campbell explains that the adventure of a hero begins with The Call to Adventure. This involves two main parts: first, some accident or change in circumstance and second, the appearance of a Herald, an individual that announces the beginning of the journey. Almost coincidently, Maike’s nursing clinical times were changed to July, rather than May, and around the same time impossible2Possible announced that Expedition Greece was going to occur in May. Maike thought, “Could this be my chance? 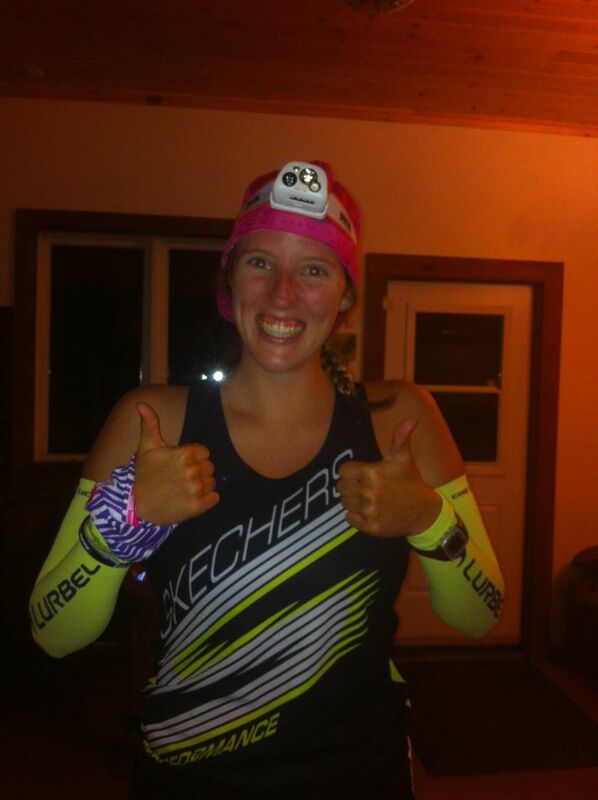 This is the first time I have no conflicting times!” With nervousness, excitement, and pleasure, Maike began her application to become an i2P ambassador. Within weeks of completing her application, Maike met her herald that took the name of Bob Cox. After interviewing Maike to determine her suitability to become one of the five heroes in this journey, Bob announced to Maike “You are one of the chosen youth ambassadors!”, signaling the beginning of her life-changing journey. Background Information: Joseph Campbell explains the Call to Adventure is often subsequently followed by a Refusal of the Call. The hero often initially refuses the Call to Adventure, which results in some sort of imprisonment or punishment. However, Joseph Campbell explains the Hero often later accepts the call at the right psycho-spiritual time. Fortunately, after hearing the amazing news, there was not a doubt in Maike’s mind whether or not she was going to accept her offer to become an i2P youth ambassador. Although she did feel nervousness when she thought about the upcoming training to prepare for her role, she knew that she would accept the challenge in a heartbeat! Background Information: Joseph Campbell explains that the next stage of the journey is some Supernatural Aid. Once the hero has accepted the Call, they encounter supernaturally gifted individuals who offer them support and guidance in their journey. Although they are most frequently female, in some cases the Supernatural Aid comes from male figures. Within days of receiving the exciting news, Maike, along with the four other youth ambassadors, were introduced to their four fairy Godfathers named Derek Spafford, Ray and John Zahab, and Michael Stashin. However, these were not just any ordinary fairy Godfathers, these fairies had the gift of running expertise. 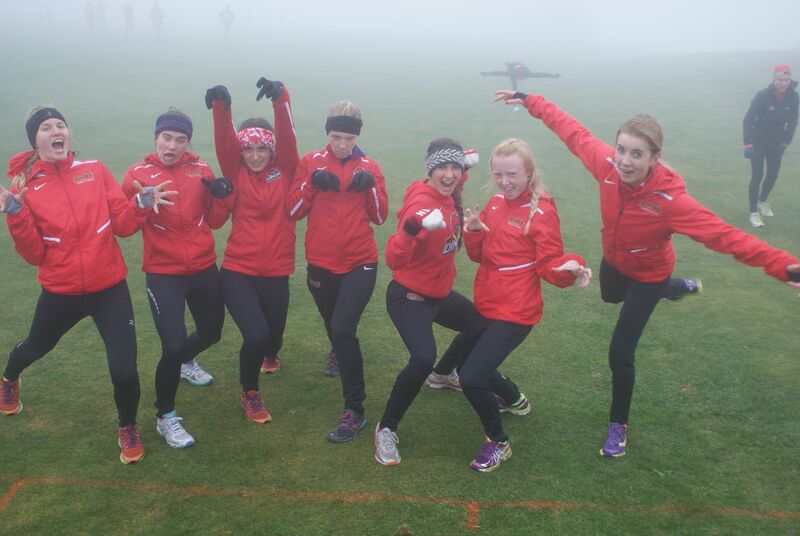 Together, they used their guidance and wisdom to guide Maike in her running pursuits, offering strength, flexibility, and running fitness plans, and encouraging her along the way. Without these three providing Maike with this supernatural aid, she would have been lost in her journey of preparing for her upcoming role as an impossible2Possible ambassador. Background Information: Joseph Campbell explains the next stage of the Adventure of a Hero is to cross the First Threshold. Campbell writes that the hero encounters a Guardian that challenges the hero’s desire and determination to move forward by setting up an obstacle for them to overcome. Once the guardian is impressed with the hero’s actions, they will allow them to move to the next phase of the journey. Despite the aid provided by her fairy godfathers, Maike had many thresholds that she had to learn to cross by herself. The fairy godfathers could only help her overcome so many obstacles. The first threshold Maike had to cross was both a physical and mental challenge. The guardian that was challenging Maike was her very own mind. 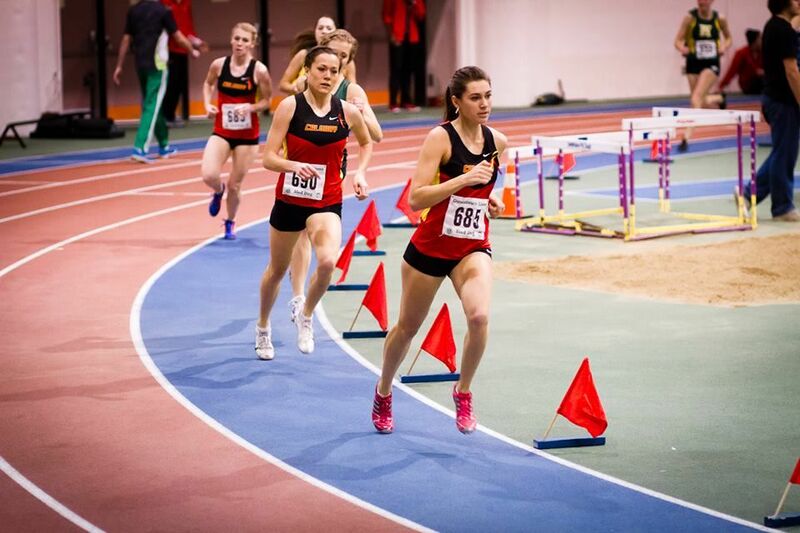 At the beginning, Maike struggled with the internal conflict of wondering, “Will I ever be fast enough? Good enough? Strong enough? Can I really do this?”, as she struggled physically to catch her breath to run even the shortest of distances. However, through using her various psychological weapons such as inner strength, determination, and perseverance, Maike was able to continue to move through to the next phase of her journey to continue her training to become an impossible2Possible youth ambassador. Maike was able to show her guardian [her mind] that she had the perseverance to overcome the initial obstacles of gaining confidence in her running and obtaining the initial fitness needed in order for her to run longer distances. Background Information: Joseph Campbell explains that after crossing the first threshold, the hero is immediately swallowed (symbolically or literally) into the belly of a beast. There the hero must gain newfound courage to fight their way out and therefore emerges stronger than before. Like any other hero, Maike also had to experience the phase of being swallowed by a beast in order to achieve a new courage by fighting her way out. However, unlike the Irish hero Finn MacCool who was swallowed by a giant monster or the Greek gods who are often swallowed by their father Kronos, Maike was not literally swallowed by a monstrous figure. 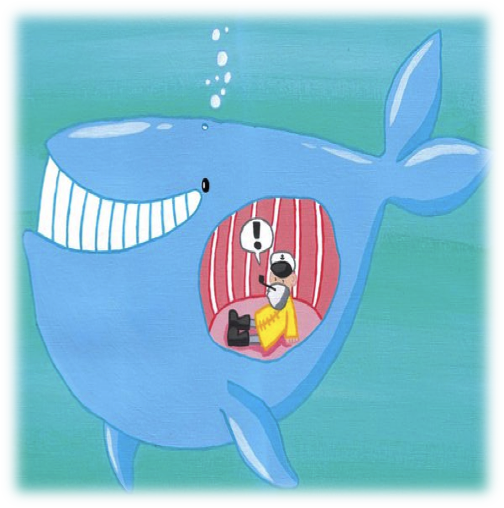 Rather, she was temporarily “swallowed” by a physical ailment. With plummeting iron levels, Maike experienced a tiredness like no other, and struggled to maintain awareness and energy even in doing simple tasks, such as walking. 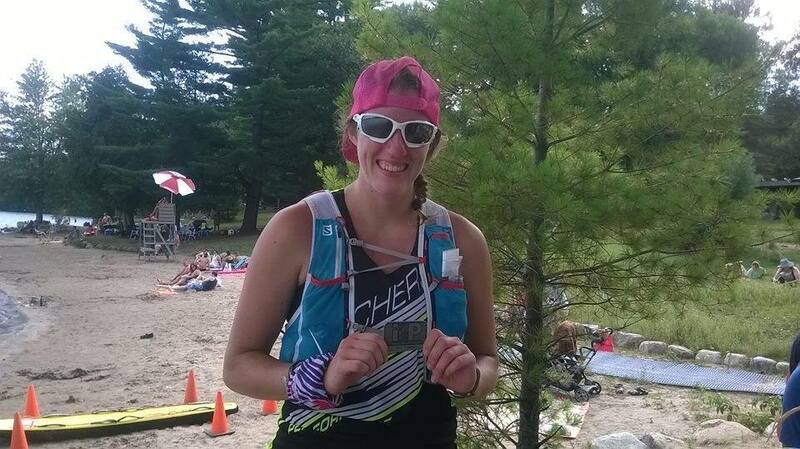 With that, Maike had to battle to find a new courage; a courage to temporarily take a break from her running to improve her health and fight her way back to a healthy state. The struggle to take a break from training consumed Maike’s each and every day, as her busy lifestyle made it difficult for Maike to slow down. However, Maike had to learn to trust her body and mind to work together to regain health to allow her to do her journey in Greece. 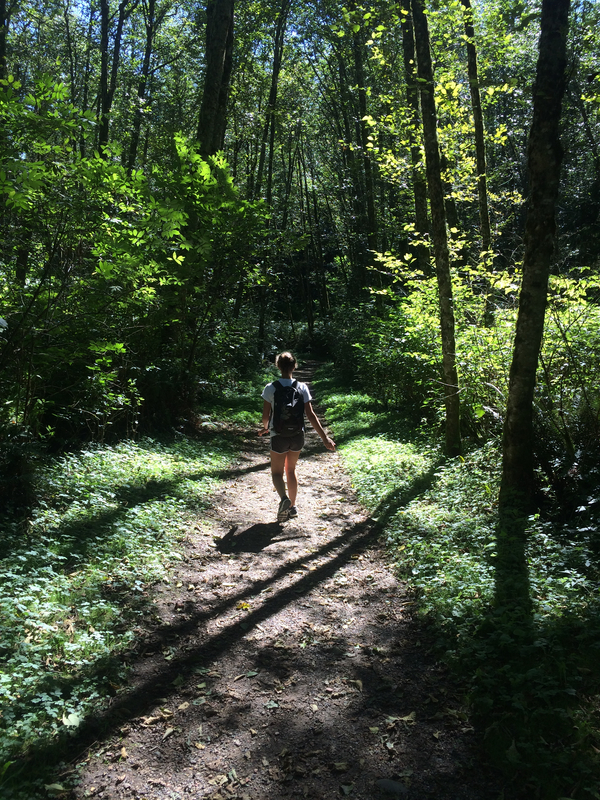 Maike’s fight allowed her to gain a newfound trust in her body and mind. Fighting her way out of the belly of the beast allowed Maike to become stronger mentally. Maike no longer questioned if she would be capable of taking on the expedition that was calling her to action, and became excited for the upcoming expedition. I am so excited to be taking part in this incredible journey with, as we’ve seen with each of their blog posts, four other incredibly inspiring and motivating ambassadors! To start off with a breif introduction: my name is Esther and I’m finishing up my third year at McGill, in Cognitive Science (Psychology and Neuroscience) with a minor in International Development. Outside of studies I’m in various extracurriculars, and also row for McGill and as part of Quebec. My life as a rower means that when the water is accessible (i.e. spring, summer and fall) I get up every day at 4:30am to 5:30am (depending on the season) and get to regularly witness a stunning sunrise with calm early morning waters. I love absolutely everything about water, which explains my interest in the sport. Winter on the other hand, pushes my entire day forward by about five hours, and wakeup typically lands closer to 10am, with a bedtime of 2am instead of 8pm. It’s like seasonally induced jetlag, if you can imagine loving jetlag. Onto my day-to-day routine! I was luckily rigourously questioned in this department by both of my Grandmothers over the Christmas holidays, so have the concise version down pat! Wakeup: My alarm goes off typically welllll before I actually have to get up, and I spend twenty minutes serenading my dreams with horrible buzzing while my brain transitions into conciousness, and then I push snooze a couple times. When I finally feel alive enough to face the light of day, I get out of bed and make coffee, eat a small breakfast, and read the news. (Breakfast is optional, coffee is not). Training #1: Then I head to the gym/ river/ basin for my morning training. This is usually two or more hours of some type of cardio work (on the water or cross-training), and then stretching and brunch. Class: Following training #1 I have a day of class and/or labs with a series of breaks in between. Extracurriculars: My breaks will be filled with either napping (I have been caught napping in most of the student lounges around campus), studying, working in the McGill Language and Memory Lab as a research assistant, helping with rowing exec as Past-President, going to physio, or going to random conferences or lectures. If I don’t have too many impending deadlines, I also like to volunteer in awareness campaigns, most recently being a campaign for brain research awareness. Lunch also happens at some point in there, followed by Linner later on. (Yes, my morning and afternoon snacks are big enough that they have their own meal titles). Training #2: After classes are done I head back to the gym for another couple hours of training: either weights or intervals and a core workout. When I’m finished it is anywhere between 6 and 9pm, at which point I head home to eat the (entire?) contents of my refrigerator. I really love cooking, but never have the ingredients I need, so every night is experiment night. Studying/Social Life: After dinner I’ll usually attempt to study, but if I’m feeling particularly unable to concentrate, I will either hang out with my roommates, or go over to a friend’s to watch some Grey’s Anatomy. Sleep: Then finally, I snuggle under my blankets, waste some time on social media, and then head to sleep! Et voila! That’s my day, and I’m so happy that i2P is now a part of it! Want to get the insight of what goes on in my day-to-day life, well this blog will give you a pretty good idea of what happens. After being selected to be a part of the i2P expedition Greece as a Youth Ambassador my already crazy busy schedule has gotten even busier! I juggle going to school full time, having a part time job, training and participating in various sports, as well as making time for friends and family and visiting my boyfriend who lives 3 hours away. Wake up 6-6:30 (Depending how many times I hit snooze) and then grab a quick shower. After that, I go downstairs and eat breakfast! Most people will find this super weird, but I’m not much of a breakfast food person. Usually, I’ll grab leftovers from the fridge and eat that (My mom hates it cause she can never keep enough food in the house haha)! If I’m not having leftovers, I’ll throw whatever I can find into the blender and add protein powder to make a fruit smoothie and with that I’ll make scrambled eggs. Then I get ready and leave for school at 7:15. I go to Heritage College in Gatineau, Quebec I’m in a three year NewMedia and Publication Design program. I am currently in my first year and loving it. For those of you who aren’t familiar with the Quebec school system, we graduate high school in grade 11, and then we have a transition schooling phase called “Cégep” which prepares you for University. Most days I’m at school from 7:30-5:30 because I have a fairly heavy course load and busy schedule! Once I get to school, I have an hour and a half to get work done, and then I start my classes at 9. On lunch hour, you can either find me playing intramural soccer in the gym, in the caf hanging with friends or getting more work done in the library. Once my classes are done for the day, I get home grab a snack then head out to train! Before i2P training, I would usually have my cross-country ski training 4-5 times a week with races on the weekend, and rugby two times a week and games, as well as going to the gym. Now with i2P I’m focused on running training, with some strength. I usually do my scheduled runs either somewhere downtown Ottawa like along the Rideau Canal or the Ottawa River Bike Path or back in Chelsea around my neighbourhood or along the trails in the Gatineau Park. After training, I do my foam rolling and stretching, and then I have dinner! After dinner, I’ll spend my time working on school work and projects, my program has a heavy course load, so a lot of my time is dedicated to getting that work done! If I’m left with any downtime, I love scrolling on Instagram and Pinterest or catching up on the latest episode of Greys Anatomy. On Friday afternoons, and Saturdays I work at the coffee shop “Les Saisons” in Chelsea so those days my routine is a bit different. Then that all starts up again the next day! Si tu veux savoir ce qui se passe dans ma vie de tous les jours, ce blogue va te donner une bonne idée ! Après avoir été sélectionné pour faire partie de l’expédition i2P en Grèce, mon horaire qui est très chargé est devenu encore plus chargé ! Je vais à l’école à temps plein, j’ai un emploi à temps partiel, je participe à divers sports, je prends du temps pour mes amis et ma famille et pour visiter mon copain qui vit à trois heures de moi. Je me réveille à 6hr00-6hr30, et je prends une douche rapide. Après ça, je descends et je mange le petit déjeuner ! La plupart des gens vont trouver ça très bizarre, mais habituellement, je vais prendre les restes du souper de la veille et manger ça. (Ma mère déteste cela parce qu’elle ne peut jamais garder assez de nourriture dans la maison, haha) Sinon je fais un smoothie aux fruits et j’ajoute la poudre de protéine. Avec ça, je fais des œufs brouillés aussi. Ensuite, je me prépare et je pars pour l’école à 7 h 15. Je vais au collège Heritage de Gatineau, Québec, je suis dans un programme “NewMedia and publication Design” de trois ans. Je suis présentement dans ma première année et j’adore ça. La plupart du temps, je suis à l’école, à partir de 7 h 30 jusqu’à 17 h 30, j’ai beaucoup de cours ! Quand j’arrive à l’école, j’ai une heure et demie pour faire du travail parce que je commence mes cours à partir de 9 h. À l’heure de déjeuner, je suis, sois ; au gymnase pour jouer au soccer, à la cafétéria avec mes amis ou dans la bibliothèque à travailler. Quand mes cours sont terminés pour la journée, je rentre chez moi pour une collation avant de partir m’entrainer. Avant i2P, j’avais habituellement mon entrainement de ski de fond 4 à 5 fois par semaine avec des courses en fin de semaine et du rugby deux fois par semaine avec des jeux, et m’entrainer au gymnase. Maintenant, avec i2P je me concentre sur la course à pied. J’ai des routes particulières que j’aime faire quand je cours. Ce sont celles au centre-ville d’Ottawa ; comme le long du canal Rideau, le chemin piéton de la rivière Ottawa, dans mon quartier ou sur les sentiers dans le parc de Gatineau. Après la course à pied, je fais des exercices et étirements, puis je mange le dîner ! Après le dîner, je passe mon temps à travailler sur mes devoirs et des projets scolaires, beaucoup de mon temps est consacré aux devoirs parce que je suis dans un programme chargé. ! Si j’ai du temps libre, j’aime aller sur Instagram et Pinterest ou écouter des émissions de Greys Anatomy. Le vendredi après-midi et le samedi, je travaille au café « Les Saisons » à Chelsea, alors ces jours-ci ma routine est un peu différente. Puis, une fois que tout mon travail est terminé, je me couche entre 23 h et 23 h 30. Et ça se répète le lendemain ! First of all, I should admit that my day is planned out by the hour in my little pink agenda – from the moment I wake up (6:30a.m.) till the time I go to bed (12:00a.m.)! If I ever lost that thing I don’t know what I would do with myself – it is my sidekick. What exactly occurs within those 17.5 hours? Well, I am about to let you know! Volunteering: Everyday I spent around 3-4 hours volunteering for various organizations, particularly ones that support breast cancer patients. For example, The Canadian Cancer Society, The Ronald McDonald House, Breast Cancer Action Nova Scotia, and the oncology unit in the hospital. If I am not volunteering for a non-profit organization, I am likely helping out in the research lab! Meetings: Each day has two or three meetings! The majority of them are related to clubs within Dalhousie’s School of Nursing, such as the Dalhousie Nursing Society, Nursing Research Interest Group, and the Nursing Undergraduate Student Affairs Committee. Class: In between meetings, volunteering, running, and studying I make every class! I absolutely love all of my professors ☺ If I am not in class, something has to be seriously wrong with me!! Oh, by the way, I am in nursing! Sleeping (sort of): Only when everything is checked off of my agenda, my outfit is picked out for the next day, and my room is clean will my head finally hit the pillow! Without surprise, the moment my close my eyes I immediately fall asleep!! Tout d’abord, je dois admettre que ma journée est planifiée heure par heure, dans mon petit agenda rose – Du moment que je me réveille (6 h 30) jusqu’à la l’heure de mon coucher (minuit) ! Si jamais je perds cet agenda, je n’ai aucune idée ce que je ferais avec moi-même – c’est mon acolyte. Que se passe-t-il exactement dans ces 17,5 heures ? Eh bien, je suis sur le point de vous faire savoir ! Étudier: Si je ne fais pas l’un des éléments énumérés ci-dessous, je peux garantir à 100 % que je serai dans la bibliothèque à étudier- je ne serais pas surpris si les bibliothécaires connaissaient mon nom ! Je commence la journée à la bibliothèque à environs 7 h 30, et je termine la journée à la bibliothèque vers minuit. Entre ces moments, il y a des pauses pour les éléments énumérés ci-dessous. Bénévolat: Chaque jour, je passe environ 3 à 4 heures de bénévolat pour diverse organisation, en particulier ceux qui soutiennent les patients atteints de cancer du sein. Par exemple, la Société canadienne du cancer, La Maison Ronald McDonald, Action cancer du sein Nouvelle-Écosse, et l’unité d’oncologie à l’hôpital. Si je ne suis pas du bénévolat pour un organisme sans but lucratif, je donne probablement un coup de main dans le laboratoire de recherche! Réunions: Chaque jour j’ai deux à trois réunions ! La majorité d’entre eux sont liés à des clubs au sein de l’École des sciences infirmières de l’Université Dalhousie, comme : Dalhouise Nusring society, Nursing Research Interest Group et Nursing Undergraduate Student Affairs Comitee. Classe: Entre les réunions, le bénévolat, courir, et l’étude que je fais chaque classe ! J’adore tous mes professeurs. Si je ne suis pas en classe, quelque chose doit être très mal avec moi !! Oh, soit dit en passant, je suis en soins infirmiers ! Dormir: Seulement lorsque tout est coché de mon agenda, ma tenue est prête pour la journée suivante, ma chambre est propre que je mets enfin ma tête sur l’oreiller ! Sans surprise, le moment que je ferme les yeux je m’endors immédiatement ! Je répète le tout ! I never thought that I’d be writing a blog about what I do on a day-to-day basis, but alas here I am! I couldn’t be more excited to, as Raphael said, be a “part of the chosen ones”! 5:30 Wake up (simple yet vital). Get everything ready and leave for school. 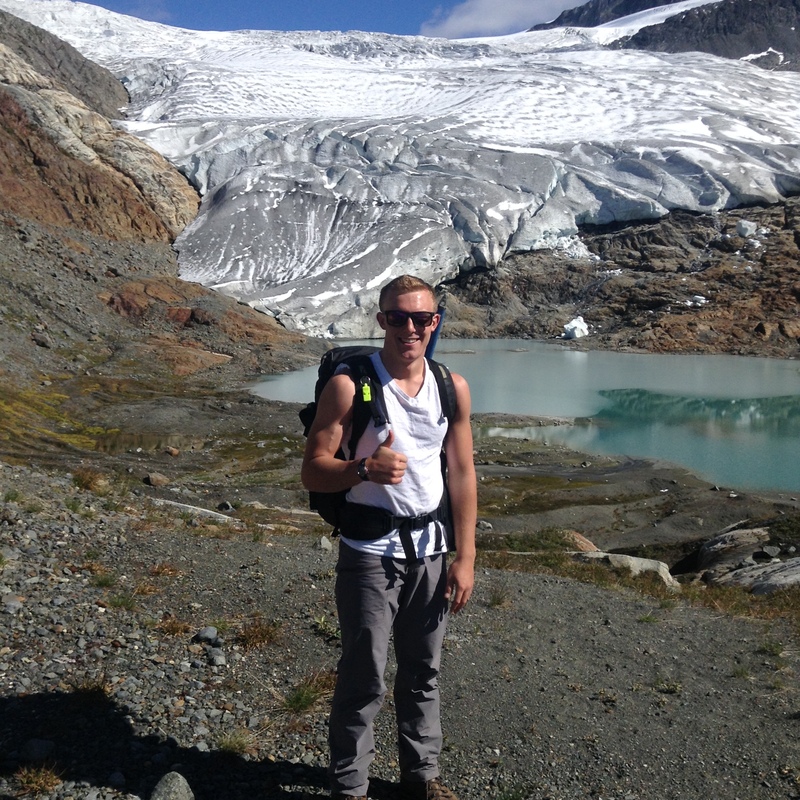 I go to the University of Calgary and am in my 3rd year of Biological Sciences, which I love! Workout #1 (oh you bet there’s more than 1!) This is normally a bike or a run for 30 min. plus core, stretching, and foam rolling. Then of course it’s time for second breakfast- Greek yogurt with berries…and peanut butter, yes please! I also use this time to study, or do some school work. Workout #2 (only every second day though)- I take advantage of my hour break and hit the pool for a water run or swim to get in some low impact cross training. It also happens to be at the same time as the aerobics class; who doesn’t love music and super upbeat people? Then classes again, you know that person who’s always eating in class, yup that’s me. Helpful tip; don’t eat carrots… unless you are super stealthy, which unfortunately I’m not. Peanut butter however…just kidding, mostly. And Finally Workout #3 (or two)! This is my scheduled team practice, which is always super tough but also one of the highlights of my day, I have a phenomenal training group! My team members are my second family and I can’t imagine my life without them! Then it’s recovery snack and coaching time (I help coach Dino Youth, a track and field developmental program) or supper and homework time. Finally, after finishing up my school work for the day and getting things ready to go for the next day, it’s time for some sleep! And that about sums up a day in the life of Ariana! Je n’aurais jamais pensé que j’écrirais un blog sur ce que je fais dans une journée et pourtant me voici ! Je ne pourrais pas être plus heureux de (comme l’a dit Raphael) faire “partie des élus” ! Je prépare tout et je pars pour l’école. Je vais à l’Université de Calgary, je suis dans ma 3e année de sciences biologiques, que j’adore ! Entrainement # 1 (oh que oui, il y en a plus qu’un !) C’est normalement du vélo ou une course de 30 min plus des étirements. Puis il est bien sur le temps pour le deuxième déjeuner : du yaourt grec avec des baies… et du beurre d’arachide, oui se il vous plaît ! J’utilise aussi ce temps pour étudier ou faire un peu de travail scolaire. Enfin, le temps pour les classes ! Entrainement # 2 (seulement tous les deux jours) – Je profite de ma pause d’une heure pour aller à la piscine pour un entrainement qui n’est pas trop dure sur le cardio. Certaines fois c’est en même temps que la classe d’aérobic ; qui n’aime pas la musique et les gens super-optimistes ? Puis les classes à nouveau, vous savez cette personne qui mange toujours en classe, oui c’est moi. Conseil utile ; ne pas manger des carottes… sauf si vous êtes en très discret, et malheureusement je ne le suis pas. Sauf pour le beurre d’arachide… Je trouve toujours un moment pour en prendre un peu. Et enfin entrainement # 3 (ou deux) ! C’est ma pratique avec mon équipe, qui est toujours très difficile, mais aussi l’un des points culminants de ma journée, j’ai un groupe phénoménal ! Mes membres de l’équipe sont ma deuxième famille et je ne peux pas imaginer ma vie sans eux ! Ensuite, je prends une collation et j’aide des plus jeunes que moi, les Dino Youth. C’est un programme de développement athlétisme, puis vient le temps du souper et les devoirs. Enfin, après avoir terminé mon travail scolaire pour la journée, je prépare mes affaires pour le lendemain, il est temps d’aller au lit ! Voilà un résumé d’une des journées dans la vie de l’Ariana ! I heard of i2P from a friend, she told me I had good chances of getting it. And so I wrote up my application. Fast forward and they announce I’m part of the finalists. I was pumped to be part of the “chosen” ones. Training every day, getting excited with the departure date looming in front of me. Encouraging me to do my best each day, not just in training, but at school too. Balancing my personal life, my school work, my training has not been easy. At first it seems so big and frightening, you don’t think you can do it, you get easily discouraged. The hardest part is the beginning, once you get that going on, you get encourage because you start seeing the results, you are proud of yourself. Some days I don’t feel like training at all. But once I get on the road, all my worries leave me, all that remains is my breathing, the heat of my muscles and the ground. That feels amazing, you feel your body working, and you start feeling strong. In average my days consist of waking up, train 45 mins on my strength and stability exercise. Eat breakfast with my sister and parents who also wake up early, start working on my schoolwork, depending on the days, I will either go run at 3, or go swim for an hour at 8pm. I work most of the day on my homework and assignment. As for my hobbies, I love reading, mostly science fiction and fantasy, but I read a lot of “classics” these days. I also love traveling, I have been all around the world with my family of 11. These trips has brought me so much. I cannot wait to share more with all of you. J’ai entendu parler d’I2P d’une amie, elle m’a dit que j’avais de bonnes chances de réussir, et ainsi j’ai écrit mon application. 1 mois plus tard, on m’annonce que je fais partie des finalistes, imaginer ma joie à me savoir parmi les finalistes. J’ai mis mon interview le plus tôt possible, j’étais stresser, content et excité. L’interview s’est très bien passée. Et ainsi me voici ! Je m’entraine tous les jours, la date du départ se rapproche jour par jour. Ce qui me pousse à faire de mon mieux chaque jour, pas seulement pour mon entrainement, mais à l’école et avec ma famille. Balancer ma vie personnelle, mon travail scolaire, et mon entrainement n’est pas facile, quand j’ai commencé, tout me semblait épeurant, je ne me pensais pas capable, je me décourageais facilement. Mais la partie la plus dure, c’est le début, une fois que tu commences, tu vois les résultats, tu es fière de tout le travail que tu accomplis. 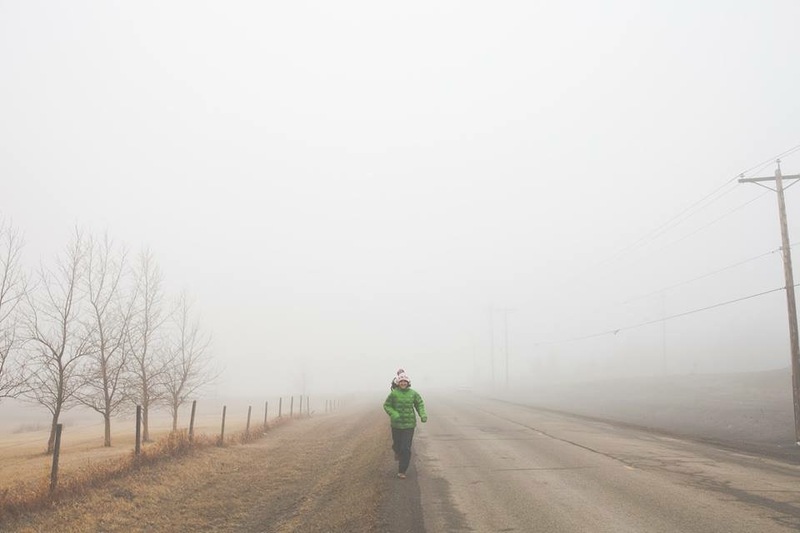 Certain jour, je n’ai pas du tout envie de courir, j’ai plusieurs d’excuses ; je n’ai pas envie, il pleut, il fait froid, je suis assez entrainé, ça va aller, je vais le faire plus tard. Mais j’y vais tout de même, la chaleur de mon entrainement me rappelle que je peux toujours me pousser plus, je peux toujours aller plus vite et plus longtemps. Ma journée commence par mon réveil, où je dois sortir de mon lit qui me crie de rester, je m’entraine 45 min, je déjeune, avec les membres de ma famille qui se réveille tôt. Puis je commence mes travaux scolaires. À 15 h je vais courir (ou je vais me baigner vers 20 h). Je travaille encore sur mes devoirs. Quant à mes passe-temps, j’adore lire, principalement de la science-fiction et la fantaisie. Je lis beaucoup de philosophies pour mes cours. J’adore voyager ; j’ai exploré la Mongolie à dos de cheval, pédalé l’Islande et le Canada, vécu la révolution Égyptienne avec ma famille. J’ai très hâte de vous partager plus de mes histoires. Pure joy and elation. Shock. Disappointment and disbelief. Hope. It would be tough to describe the emotions of the past few weeks, but I daresay, it’s been an emotional rollercoaster. I first heard about i2P in 2012 and could only dream about earning a coveted spot on the youth ambassador team. Learning about my selection to Expedition Greece became the pinnacle of my freshman year at UNC Chapel Hill. An opportunity to experience the journey for myself, to take on the most challenging of conditions, to train under the best of the best, and to immerse myself in the world of running — it almost seemed to good to be true. As fate would have it, I recently sustained a sesamoid injury in the left foot and have been advised by orthopedic specialists to put a hold on running for the moment. The news came to me as a shock, and for a while, I struggled to come to terms with myself. I told myself I would weather the pain and be prepared to face the consequences. Thanks to some timely advice from Bob, Ray, and the i2P coaches; physician parents; and my trusted mentors—as well as some much needed self-introspection — I have decided to pull out of Expedition Greece, in the best interest of my teammates and my health. At this time, I am reminded of a valuable lesson that I learned as a Cross-country and Track/Field runner in high school. Running relentlessly for 10 months out of 12 during the year inevitably caught up with me. MRIs confirmed a rectus femoris strain and I was forced to apply the brakes for the remainder of my junior season. While the injury humbled me, it came tucked with lessons and blessings aplenty. I learned to listen to my body and respect it. I realized that being the fastest runner is not the only way to contribute. I consistently attended practices and races to support and guide our rookies with all my heart. 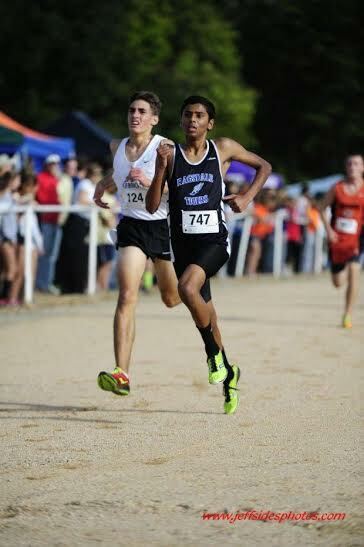 Thanks to physical therapy, I was able to compete with my team once again. On return, I was honored by my coach and teammates and named team captain. The renewed sense of responsibility and, of course, fresh legs, provided an incredible lift: during our team’s final race of the year, I crossed the finish line at 16:54 and set my high school’s season record for the 5K. Today, as I once again embark on the difficult process of “letting go” of my training for the moment, I am determined not to let go of my can-do attitude, my team and my faith in God’s plan. I pray, and pursue rehab with a purpose. I have received immense support from my i2P family — teammates, coaches, staff, alumni — I fall short of words for their empathy and confidence in my ability to recover. I cannot wait to witness team “Greecer” unlock their potential this spring. As I set my sights on the Fall Expedition, I believe that the extra time to prepare myself mentally and physically will help me become a better advocate for all that this phenomenal organization represents. I will be spending my summer interning with an eye hospital in a Sanskrit-speaking village in India while simultaneously teaching nutrition and basic hygiene at a local high school. I will be faced with challenges in communication, be forced to adapt culturally, and, in the process, will learn a lot about myself as a youth. I can’t say for sure what the future has in store for me, but I am incredibly humbled by your continued support and absolutely stoked for the Fall Expedition! 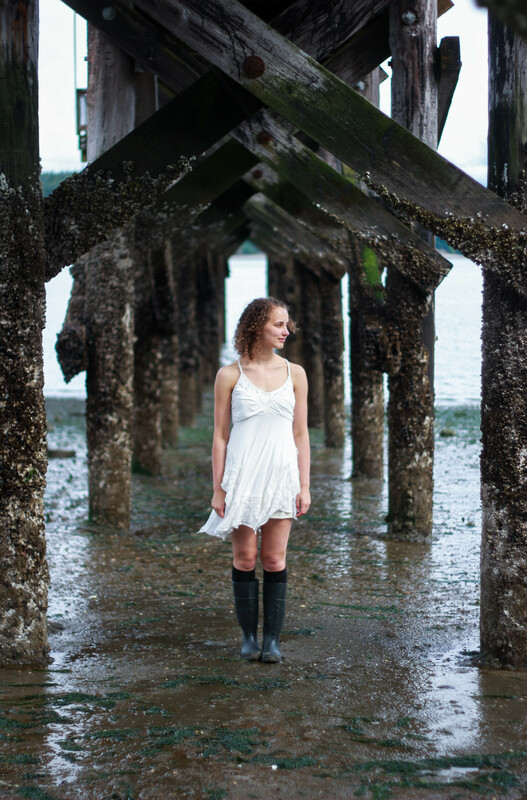 Leading up to the Lost Coast Expedition, Caroline explores marine ecology by the Atlantic Ocean. Just like on the East Coast, the Youth Ambassadors will be exploring shoreline habitat on the West Coast. 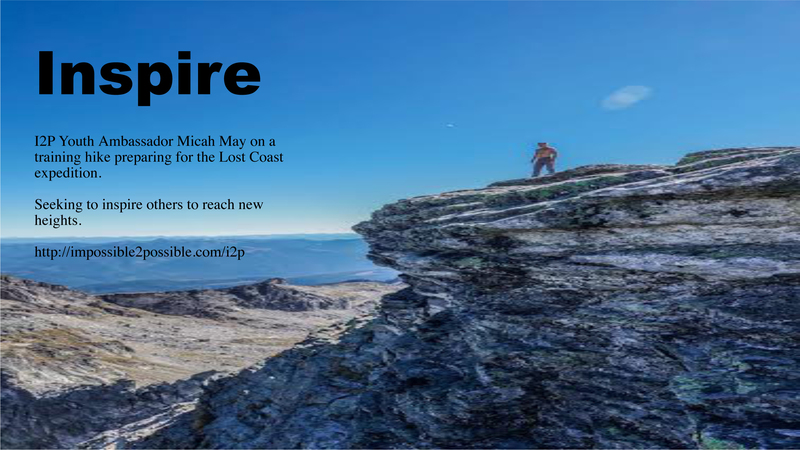 Check out the video below and experience the world through the eyes of Micah in the lead up to The Lost Coast Expedition! 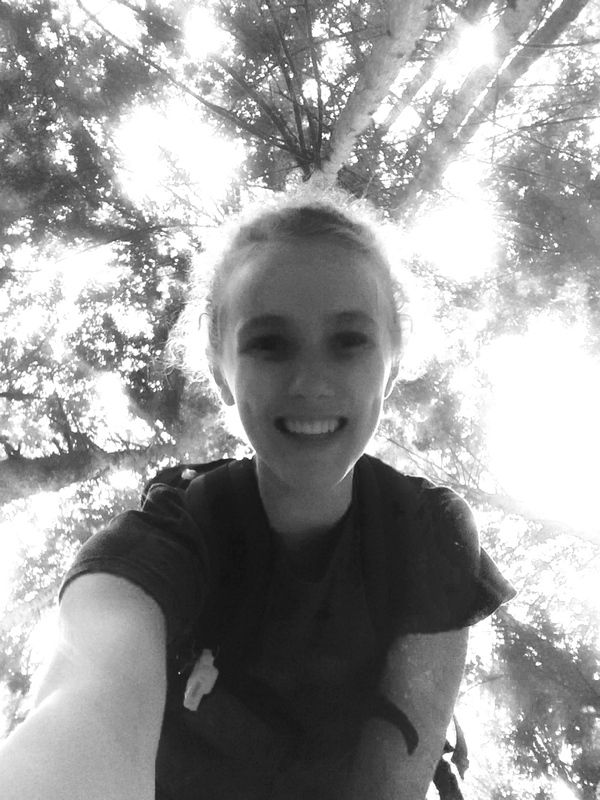 A Day in the Life Of a Youth Ambassador: Emma! 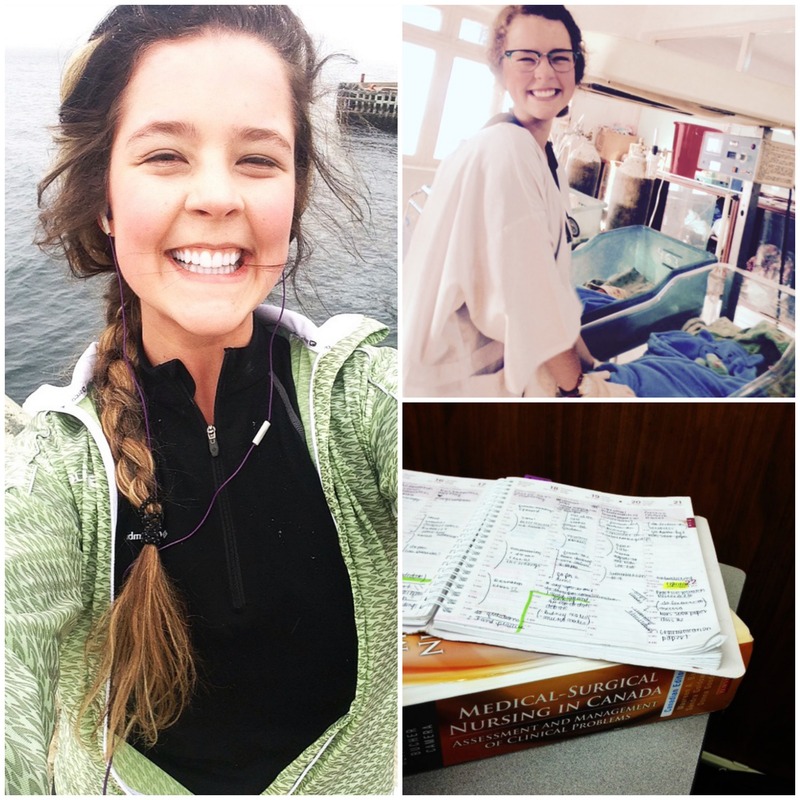 Living and studying at the University of Washington in Seattle, Washington. -I am also doing service learning for my minor in education with a program called The Dream Project where I mentor high school students on the college application process. Each week we have a lecture from past mentors, a discussion with fellow mentors, and a visit to the high schools. -I have also found a few parks and green spaces that I really enjoy walking/hiking to. Left: At the gym—I brought my laptop and watched a movie while doing the stairmaster! -On Mondays I have Hall Council meetings for my dorm building. I am a Program Committee Chair. -On Tuesdays I work as a designer for the UW newspaper, The Daily. I lay out the Opinion page. -On Wednesdays I have water polo practice for the UW Women’s Club team! -As UW students we get bus passes so this past week my friends and I took the bus to a popular park 30 minutes away and watched the sunset over the Seattle skyline! 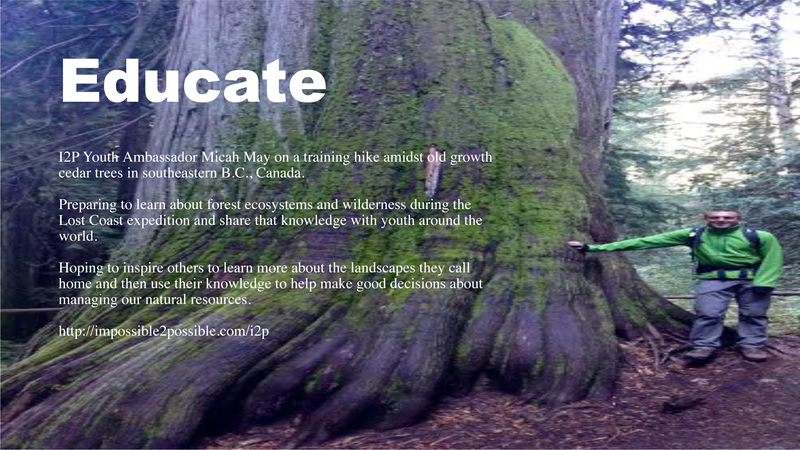 Lost Coast Youth Ambassador Micah May illustrates what the three pillars of impossible2Possible (Inspire, Educate, and Empower!) mean to him and how he carries these out in his life. I’m always up for any adventure and love to experience the world around me. I’m always willing to do something challenging because it builds me into a better person. It allows me to better help and understand others and their needs. I love people as much as I love activity and try to help others everyday. I know that what goes around comes around, so don’t throw anything you don’t want to get hit with. I’m excited for i2P because I know that it will build me up as well as anyone else who follows Emma, Caroline, Micah and me on our journey. We are in for a great time and we are happy to share experiences. Here’s a video that will sort of show who I am, where I live, and what I’m excited for. J’adore courir! Je suis toujours partant pour une aventure et j’aime découvrir le monde qui m’entoure. Je suis toujours prêt à relever des défis parce que cela me permet de m’améliorer en tant qu’individu. Cela me permet de mieux connaître les autres et leurs besoins. J’aime les gens autant que l’activité physique et j’essaie d’aider les autres à chaque jour. Je sais que nos bonnes actions nous sont éventuellement rendues, alors ne jetez jamais de fleurs qui pourraient vous revenir avec le pot. Je suis excité pour i2P – Réussir l’Impossible, parce que cela permettra, à nous et à ceux qui suivrons nos péripéties, de nous développer. Voici un vidéo présentant qui je suis, où j’habite et ce pourquoi je suis excité. I have been asked numerous times, “Why would you want to trek or run 30 kilometers a day for 7 consecutive days through mountainous terrain?” I’ll tell you why! Yes, it makes your body ache and your mind tired. Yes, when you are pushing yourself further than you think is physically and mentally possible you want to stop. When you come to your final destination, however, and finally let your body sag and breathing slow, there is a sense of accomplishment and satisfaction that is impossible to find anywhere else. Your achievement overcomes the soreness of your body and you feel more alive than when you started. You also develop a deep connection with the place that just challenged you; it has shown its complexity and the beauty hidden within it. There were no engines whirring or people shouting, just the sound of your footsteps and heavy breathing, which when you stop the silence is filled by the sounds, sights and smells of your surroundings. My name is Micah May and this is why I love pushing myself, both to see where my limitations lie, but also to experience the diverse and amazing landscapes of our planet. This is also why I am very excited to be an i2P youth ambassador for the Lost Coast expedition. I can’t wait to share the experience with you, not only the team’s struggles and achievements along the way, but also all the amazing things we learn about the Lost Coast environment. Stay tuned!! On m’a demandé plusieurs fois « Pourquoi veux-tu parcourir 30 km par jour pendant 7 jours consécutifs sur un terrain montagneux? » Et bien voici! Oui, je serai fatigué physiquement et mentalement. Oui, quand vous vous poussez jusqu’aux limites de ce que vous croyez possible physiquement et mentalement, vous avez le goût d’arrêter. 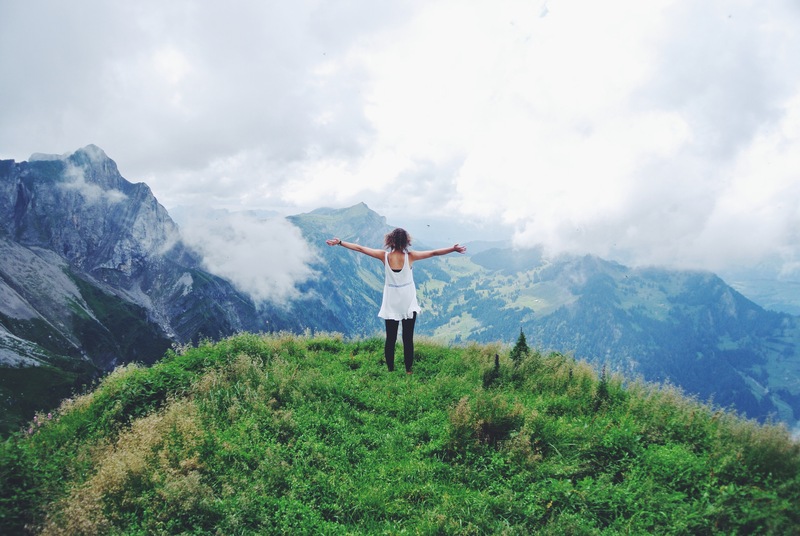 Quand vous arrivez à destination toutefois, et que vous laissez finalement votre corps se relâcher et que vous respirez lentement, il y a un sentiment d’accomplissement et de satisfaction impossible à retrouver nul part ailleurs. Votre succès outrepasse la douleur de votre corps et vous vous sentez plus vivant qu’au début. Vous développez également une profonde connexion avec l’endroit que vous venez d’affronter; il vous a démontré sa complexité et sa beauté intrinsèque. Il n’y avait pas de moteur vrombissant ni de gens qui hurlent; juste le son de vos pas et de votre respiration lourde, et lorsque que vous arrêtez, le silence s’emplit des sons, des paysages et des senteurs de ce qui vous entoure. Mon nom est Micah May, et voilà pourquoi j’aime me pousser à fond, d’abord pour connaître mes limites, et ensuite pour découvrir les merveilles de notre planète. C’est aussi pourquoi je suis très excité d’être un ambassadeur jeunesse d’i2P – Réussir l’Impossible pour l’expédition de la Côte perdue. J’ai très hâte de partager l’expérience avec vous, non seulement les défis et les embûches vécus par l’équipe, mais également les choses merveilleuses que nous apprendrons à propos de l’environnement de la Côte perdue. Restez à l’écoute! 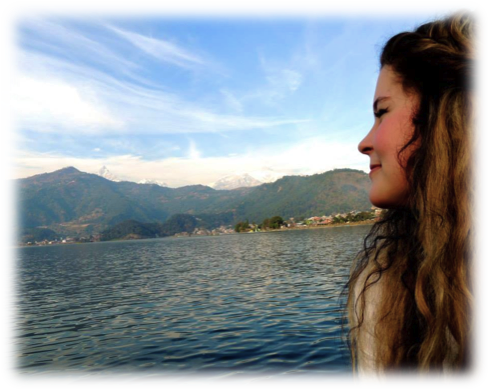 As one of four Youth Ambassadors, Caroline is looking forward to joining the impossible2Possible team on an unassisted trekking expedition on the Lost Coast in Northern California, November 2014! By focusing on Pacific Northwest ecology, we’ll be sharing our explorations through daily video conferencing and social media. This is my video in the lead up! En tant qu’une des quatre ambassadeurs jeunesse, Caroline a bien hâte de joindre l’équipe d’i2P lors d’une randonnée non-supportée sur la côte perdue (Lost Coast) dans le nord de la Californie, en novembre 2014! En dirigeant notre attention sur l’écologie du nord-ouest du Pacifique, nous partagerons nos explorations par vidéo-conférence et médias sociaux. Voici le vidéo que j’ai préparé pour la sélection! Visionner ce clip de super-vedette ici bas et apprenez à connaître Caroline. Hello, my name is Emma and I am an eighteen year old from the state of Washington in the United States and currently a freshman at the University of Washington in Seattle, studying visual communications design and education. Thanks to growing up in an active family, attending summer camp, and playing many sports, I have grown to appreciate the outdoors, adventure and physical challenges. After traveling to many countries and connecting with people from all over the globe, I have truly fallen in love with the cultures and stories that every person has to offer. Using my passion for photography, videography, and design, I hope to continue to work in communications and discover more that this crazy beautiful and big world has to offer. I want to thank i2P for the upcoming opportunity to explore the place I call home—the Pacific Northwest—on the Lost Coast Expedition. Bonjour, mon nom est Emma, j’ai 18 ans, je suis originaire de l’état de Washington aux États-Unis et je suis présentement étudiante de première année à l’université De Washington à Seattle en design visuel de communication et éducation. Ayant grandie dans une famille active, fréquentée des camps d’été et pris part à plusieurs sports, j’apprécie le plein-air, l’aventure et les défis physiques. Après avoir visité plusieurs pays et rencontré des gens de partout dans le monde, je suis littéralement tombée en amour avec les cultures et les histoires que les gens ont a racontées. À l’aide de ma passion pour la photographie, la vidéographie et le design, je souhaite continuer à travailler en communications et découvrir tout ce que ce monde fou, grand et magnifique tout à la fois a à offrir. Je tiens à remercier i2P pour l’occasion qui m’ait offerte d’explorer ma région – Le Pacifique nord-ouest – lors de l’expédition “The Lost Coast” (la Côte perdue). 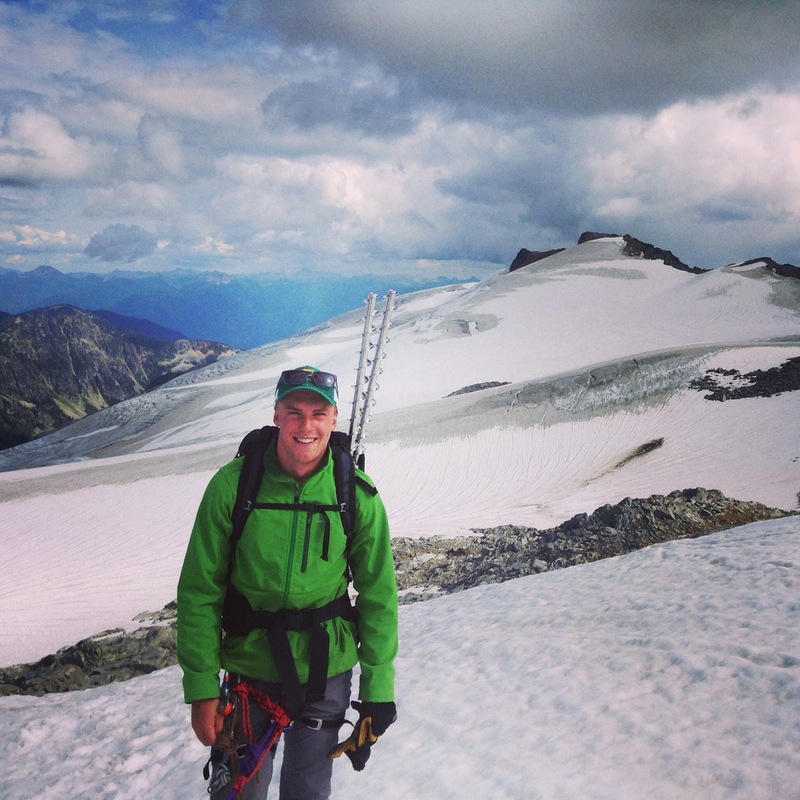 When we applied to be an i2P youth ambassador, we all knew that we were up for a big challenge. I mean, running multiple marathons through the driest desert on earth just screams physical and mental challenges. As i2P’s most diverse team of Youth Ambassadors yet, we realized that our personalities are quite different. Some of us were adventurers while others were introverts; however, each one of us brought something special to the team that no one could supply. Likewise, the variety of challenges that we faced ended up being really different to what we had expected. JP had a difficult time transitioning into expedition life. His first time in a tent, he spent fifteen minutes trying to figure out the sleeping bag’s zipper! When it came time to run, the first few days he had to plug into his iPod to run comfortably: he wasn’t used to life without technology. However, on Day 3, he felt that he wasn’t connecting with the team as well so he made a huge decision to stop using his music to run in order to communicate with his teammates better. From that day onwards, things became easier because we were able to tackle the challenge of no technology as a team! Val found through this adventure that working with accomplished people from all over the world was more challenging than expected. Great individual athletes coming together as a team was the most difficult part of this expedition. Everyone took on a different role in this team and Val found that the outgoing, loud and excited type was not the person she needed to be to bring the team together. Instead, she did what she knows best which is to keep her head high, push forward, be strong; and hopefully, the others would follow. This experience proved Val that both weaknesses and strengths makes a team, and it is how everyone deals with these together what determines the success of this team. 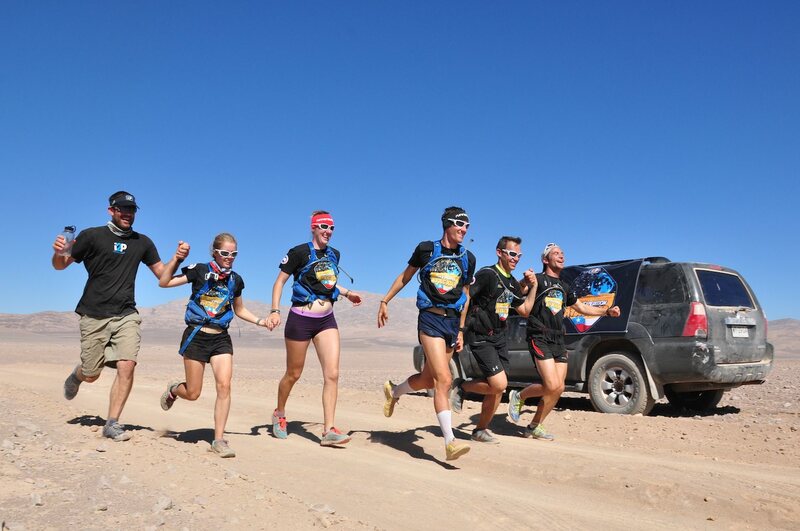 In the Atacama, each team member had a different role that collectively enabled us to achieve the impossible. So many emotions and experiences in just two weeks, Alex thinks it’s really difficult sum up in just a few sentences; probably this expedition can’t be described with words. Alex has gained a family: two sisters and two brothers…and more than ten friends. Because he was the fastest runner, this lead him to think that it would be easy, but this thought crushed on the wall of the reality. When faced with the first difficult moment on Day 3, his only intention was to drop out but thanks to an amazing and supportive team, he reached the end. Not as five individual guys and girls, but as a TEAM with tons of ups and downs, and ups again. Sometimes envying his companions for the mental strength or for their charisma, but in the end with the consciousness that everyone has their role: everyone has his or her peculiarities which makes that individual unique and at the same time only one fifth of the team. Being normal and weak doesn’t mean being a loser, believing that you can do everything by yourself will lead you to failure. 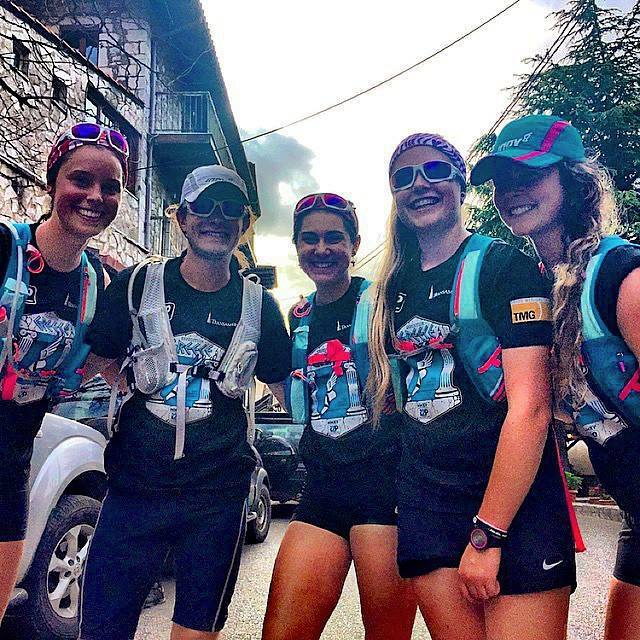 Flo thoroughly enjoyed the entire running part of the expedition and was surprised that physically and mentally it was not as tough as she had expected – being around the amazing teammates and in the incredible environment helped her to stay super energized and positive. This state of mind made everything seem easier!! The biggest challenge is yet to come: applying the same frame of mind and lessons learned back home. The time to depart is fast approaching, which is sad, but also an opportunity for further adventures. 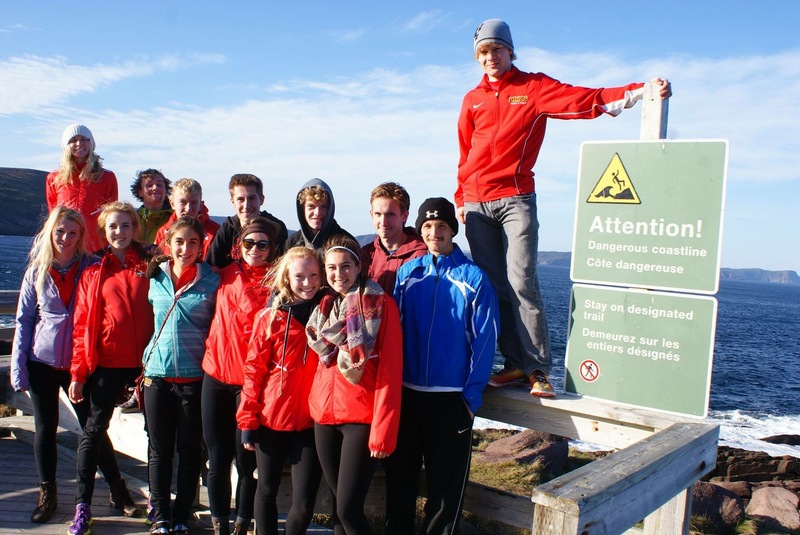 Stephen could not be more proud of the group of Youth Ambassadors, and the i2P team as a whole. When arriving in the Atacama, the feelings of excitement were so powerful that it was hard to really focus on what challenges were ahead. It may not have been as physically challenging as expected; however, mental and emotional strengths were tested each day. Bonding as a team through encouragement and support allowed Stephen to reflect on the importance of teamwork in accomplishing such an important goal. After just two weeks together, the friendships that have been made will last a lifetime. As the expedition comes to a close, the hardest part of this whole experience has proven to be saying goodbye to such an incredible group of people. The Atacama Youth Ambassadors are now off to their respective countries, but their unbreakable bond and friendship continues. The team is ready to pass the torch. What did we do on day 5? We ran, and ran, and ran some more. We ran until we reached 55km. Did it hurt? Ask my legs. Was it the most unbelievable experience ever? Ask my head. 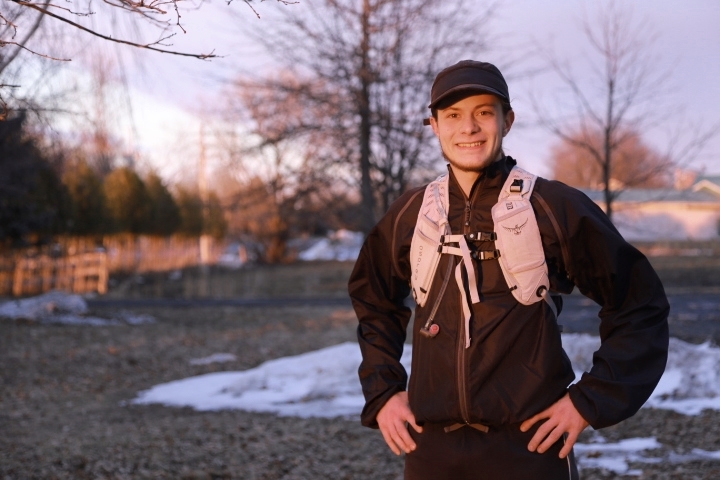 New i2P Youth Expedition record! The distance is really just a number and doesn’t mean that much. 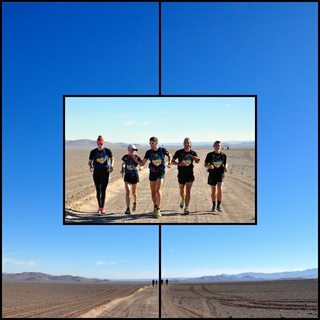 Running through the driest place on earth and doing it with an amazing group of people means so much more. Getting to this point took a lot of work: 3 months of training, but more importantly 4 days of expedition getting used to the weather, the terrain, my teammates and the pace. The pace was probably the most challenging aspect. With everyone coming from different backgrounds, running at the same speed and a comfortable speed for all was extremely challenging. Running faster than your capacity means not being able to sustain the pace for the whole distance or the whole expedition. Running too slow is not only hard on your legs, it is incredibly overwhelming mentally because you are constantly thinking of how much faster you could go. The reason running 55km today was so phenomenal is because we all came together as a team, we were able to use the previous days and we were able to adapt to one another. It wasn’t easy though. We all had our own struggles. I had incredible stomach cramps and my knees were killing me, but because we were a team, communicating, running at a comfortable pace for everyone and actually having fun and enjoying the scenery, I was able to push through the pain. I was hurting, badly, but that just gave me more motivation to keep going. I was focused on the goal we had set out for ourselves and any sign of weakness I felt would negatively impact the team and myself. I like to think of myself as a silent leader meaning I lead by example. I am not the outgoing, loud type, but I have my own strengths. I didn’t feel strong today, but I had to keep going, I had to keep moving: relentless forward movement. So, did it hurt? My legs will say yes, extremely. Was it the most unbelievable experience ever? My head and my heart will say yes, no doubt. 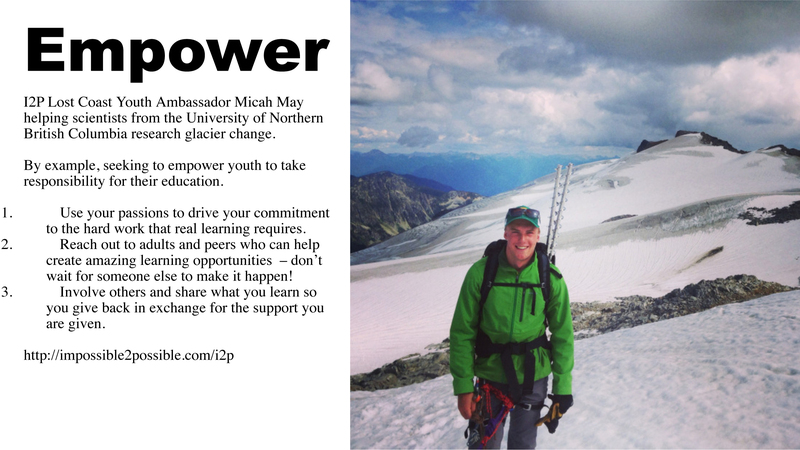 We are the i2P Youth Ambassador Alumni! No matter which expedition we were apart of, the #1 adjective that we each use to describe our experience is LIFE-CHANGING!